Nancy Pelosi just cannot help herself. The gaffe-prone Speaker of the House tried a new line of attack on Donald Trump. But this awful accusation instantly backfired and could end up being the mistake that defines Nancy Pelosi’s career. Pelosi was riding high after the government shutdown fight. Fake news reporters published glowing profiles about how the Speaker of the House forced President Trump to capitulate to her demand that he reopen the government. In reality, all Trump agreed to was giving Congress three weeks to negotiate a border security deal that must include funding for the wall. However, Pelosi couldn’t help herself and let her Trump Derangement Syndrome squander her momentum. Perhaps knowing that Trump’s move to put the ball in Congresses court and apply the pressure on the Democrats caused Pelosi to lash out and try to shift the national conversation in another direction. So in the wake of Robert Mueller ordering a Gestapo-style arrest on Trump associate Roger Stone, Pelosi resurrected the baseless conspiracy theory that Donald Trump is an agent of the Russian government. Pelosi went on to state – without citing evidence – that Trump was also interfering in the Mueller investigation. “The Special Counsel investigation is working, and the House will continue to exercise our constitutional oversight responsibility and ensure that the Special Counsel investigation can continue free from interference from the White House,” Pelosi concluded. This is not the political ground Democrats should be trying to stake out as they head into the 2020 Presidential campaign. Democrats believe the shutdown fight and failure to secure any border wall funding has crippled President Trump’s political standing. They perceive that with Trump weakened, they can move in for the kill on impeachment. However, they are misreading the political landscape. NBC’s latest poll found Trump’s approval ratings unchanged from before the shutdown. In fact, it was Nancy Pelosi’s popularity that took a nosedive. NBC found her favorability rating had plunged 6 points in just one month, making her the most unpopular politician in America. Democrats are pressing their attacks on Trump at the same time an ever-expanding group of race baiters, socialists and lunatics announce their intentions to seek the Democrat Presidential nomination in 2020. The twin bill of impeachment, racist campaign rhetoric, and radical policies will come to define the Democrat Party heading into 2020. 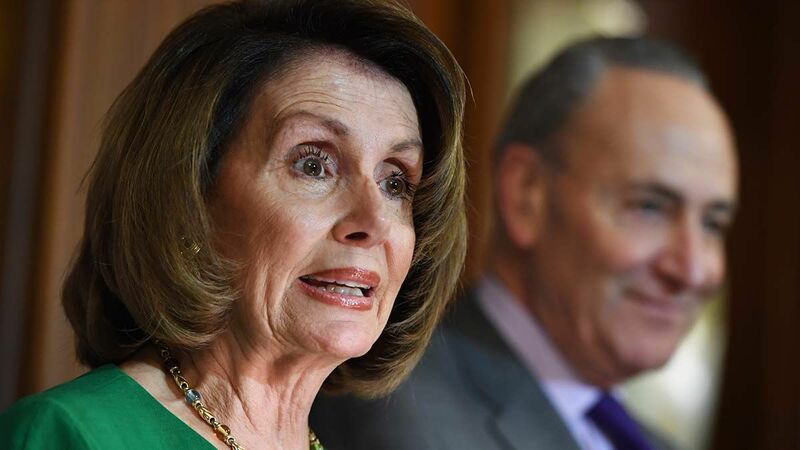 Instead of presenting a reasonable and sensible face to the American voters, Democrats have decided to rip off their masks and showcase the insanity that’s gripped them ever since Donald Trump won the Presidency.